The Brass Band is a band that even tough, it can also be formed by percussion instruments; rigorously it should be established only by brass instruments. In some New Orleans Brass Bands, woodwinds instruments are often seen, but some say that it would be more correctly named brass and reeds bands. 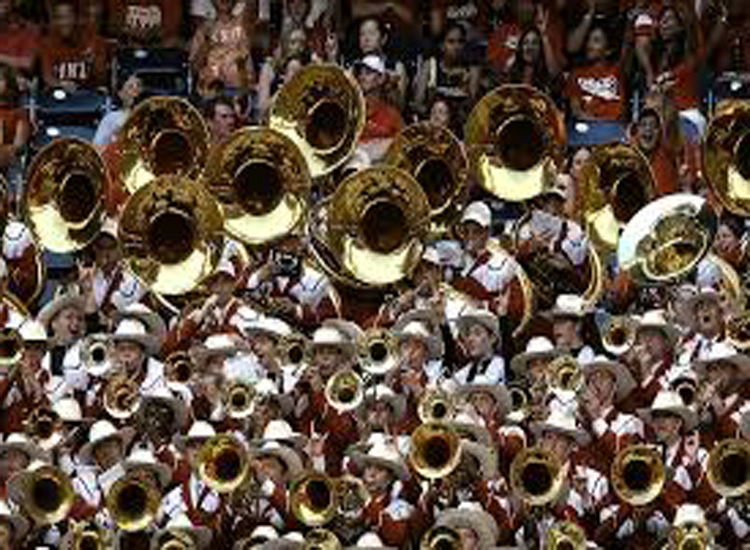 One of the factors that contribute to the unique sound of these types of bands is that almost all the instruments utilized are conical-bore, and the only cylindrical shaped instruments used in them are the baritones and trombones. Parts of the traditions in the Great Britain, in the beginning of the 20th century, were bands competitions between different communities that were represented for the local traditional brass bands, which normally included 28 players.This style of bands and their competitions spread across all the United Kingdom and most of the former British colonies, including Australia, New Zealand, and in many areas of North America. The turn of the 19th to the 20th century marked the birth of the traditional Brass Band of New Orleans, one of the most, if not, the most famous kind of Brass Bands in the world. In those day these bands used to play a music style that was a mix between folk music originated in Africa, and military band’s music with European influence. The most used instruments in this kind of band were: Trombones, trumpets. clarinets, saxophones, sousaphone and also percussion instruments like the tambourine. The ensemble had a huge influence in the later preponderant genre of jazz, being the basement for a number of styles and trends. Some examples of New Orleans Brass Band that could be named are for example: The Camelia Brass Band, the Eureka Brass Band, the Tuxedo Brass Band, the Olympia Brass Band , and plenty of more. Also these bands are amply recognized by their remarkably participation in funerals and festivals parades. Mostly seen in the Low Countries, the bands are also part of the traditions in Luxembourg, France and Germany. The Netherlands and Belgium display and array of these bands, and even tough they are of civilian character, they can be seen also serving as military bands. Influenced by the British brass band and the presence of military bands, the fanfare bands added some additional group of brass instruments, like the saxophones and other support pieces in their line-up. Fanfare bands are frequently present beyond musical recitals but also in local festivals and special occasions, promoting the conservation of the ancient customs of the region. The arrival of the Hip Hop and other modern expression of contemporary music didn’t let the Brass band world intact, and several exponents took elements of modern genres like funk and especially Hip Hop to create a new sound. Performers like Def Generation or the Stooges Brass Band broke away from the traditions and started to show unconventional repertoires of Brass Band music. The style broke the borders of New Orleans and the USA, and now this style of music can be found in places as diverse as Japan, the United Kingdom, Australia and many more. Benny Jones Sr led this recognized marching band which showed in its line- up musicians like for example Frederick Sheppard on saxophones, Kermit Ruffins on trumpet, sousaphonist Kirk Joseph, Corey Henry on trombone and himself on percussion. The band played classical Louisiana brass music and released 2 records named “I got a big, fat Woman”, and “Gimme my money back”. At the beginning of the last century, in the 1900’s the “Tuxedo Brass Band “was rewarded with a huge reputation, and the brass band trumpet section was recognized as one of the best that could be listened to back in the day. Led by Papa Celestin, they started to perform in 1910, the band saw musicians as famous as ; Louis Armstrong, Jim Robinson, Louis Keppard, and so on. The band never recorded, but bands that were integrated by many Tuxedo’s players together did so. Founded in 1938 and honoring the Papa Celestin Tuxedo band, the ensemble was formed by John Casimir and its line-up use to have about 10 musicians. 1950 was the year that the band recorded their first works which showed recognized musicians, like Andy Anderson on trumpet, Andrew Morgan and Herman Sherman on reeds and Paul Barbarin on drums. Highlights of its extended trajectory are the appearances at the bicentennial of the United States commemorations at the Smithsonian Folklife Festival in 1967, and in the celebration of the quarter of century of the Newport Jazz Festival at the white house. Being the popular Freddie Keppard one of its members, “The Olympia Brass Band” played between the turn of the century and the first decades of the 20th century. The band was extensively known for its weekly performance at preservation hall, besides the participation in festivals and parades. “The Westlawn Funeral Dirge” was the most important record of all the pieces registered until nowadays. The Band included in its line-ups an important amount of very recognized players in the world of jazz. Brass bands have been present for more than a century, displaying different aspects of the arts of many countries and regions in the world. They are not only a sample of the cultures of the local people of where come from, but also a source of entertainment, and knowledge for the new generations of inhabitants of those areas. From the muddy waters of Louisiana to the awesome cultures of the Balkans, the brass band have been an undeniable sample of the numerous cultural expressions that we have in common as human been. Military bands, army salvation bands or the outstanding brass bands of the Mississippi have been part of the live of the locals of lots of places in the world for ages, and we hope they will be present with them for a long while.